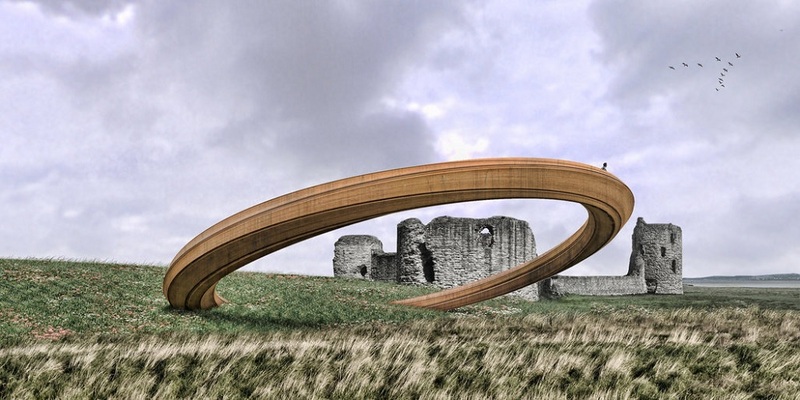 The Cabinet Secretary for Economy and Infrastructure, Ken Skates, has announced that plans for an ‘Iron Ring’ sculpture at Flint Castle have been put on hold. It was announced today that he would “pause and review the plans for the sculpture”. Ken Skates said: “We have listened and recognise the strength of feeling around the proposed art installation at Flint Castle. Almost 10,000 people have signed a petition calling for the sculpture to be scrapped. Four Plaid Cymru MPs – Liz Saville Roberts, of Dwyfor Meirionnydd, Ben Lake, Ceredigion, Hywel Williams, Arfon and Jonathan Edwards, Carmarthen East and Dinefwr – had asked for the proposal to be abolished. Cadw had originally defended the sculpture, arguing that “art divides opinions, encourages debate and can be interpreted in many ways and that combining history, art and place can often lead to powerful emotions and passions”.